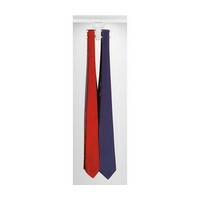 Tired of wasting time searching through drawers looking for a tie, only to find it wrinkled and in need of ironing? If so, then we have the perfect answer for you with our patent-pending TieButler. 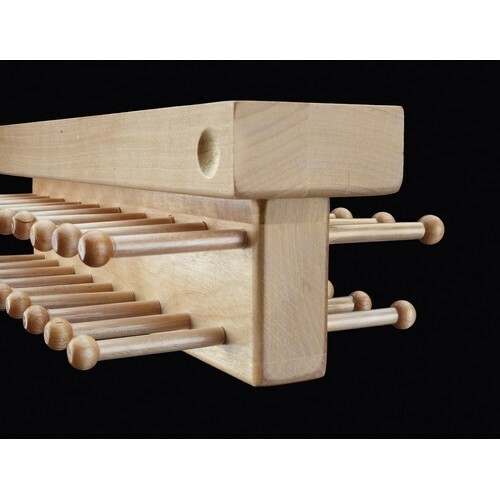 This unique tie rack holds an astounding 68 ties without wrinkling or slippage, available in Black, White and Maple is constructed of solid wood and features ball-bearing slides and easy comfort grips for complete and easy accessibility. The top mount design easily installs underneath any shelf in a 7" opening and with four depths you are sure to find the perfect size for any closet design. 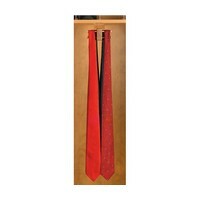 Have more than 38 ties? No problem! 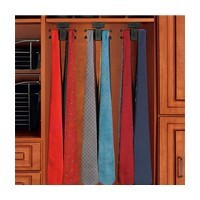 for additional storage, they can be double stacked or installed in a run of two or more for use in larger closet openings.